One of the many great things about running the Bayshore Marathon is Traverse City's culinary scene with its large number of post-race dining options. Here are some of my favorite places to dine and drink in Traverse City. After running the 2017 Bayshore Marathon, I went to Apache Trout Grill for dinner. This is a popular restaurant on the water, so be prepared for a long wait. There was supposed to be an hour wait for us, but fortune intervened and a table in the bar area opened up after a few minutes. The pesto dip that came with the bread was outstanding. The pesto is made with olives, giving it a different taste, but we liked it so much we asked for more. We also ordered the delectable beer cheese fondue, which came with a pretzel braid. 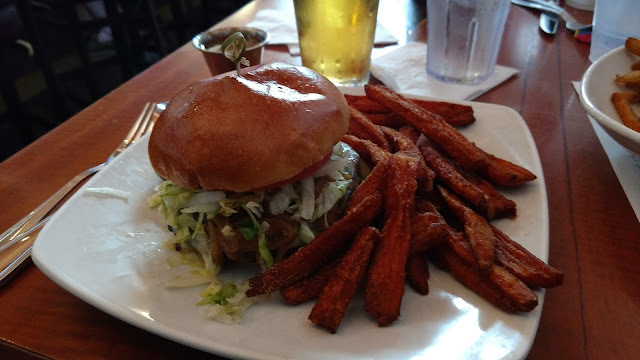 My wife, Allison, loved the Baja Tacos, and I devoured my Apache Burger with sweet potato fries. The sweet potato fries came with an incredible syrupy pecan dip that made the fries taste like french toast. They also have a great kids menu, and our daughters loved the burger and chicken tenders. The Grand Traverse Pie Company has locations throughout Michigan, but I highly recommend trying the Traverse City location, especially if you are in town for a few days and can take a pie to your rental/hotel. After I ran the marathon, we bought a small blueberry pie and large cherry pie. (Don't judge. 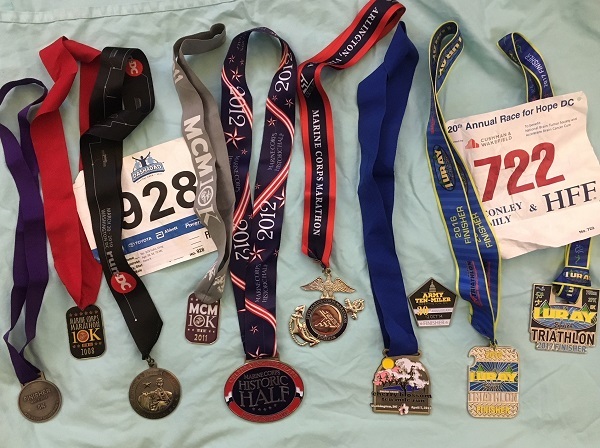 I ran 26.2 miles that morning.) The pies were a much-deserved reward after months of training and were great for breakfast the next two mornings. 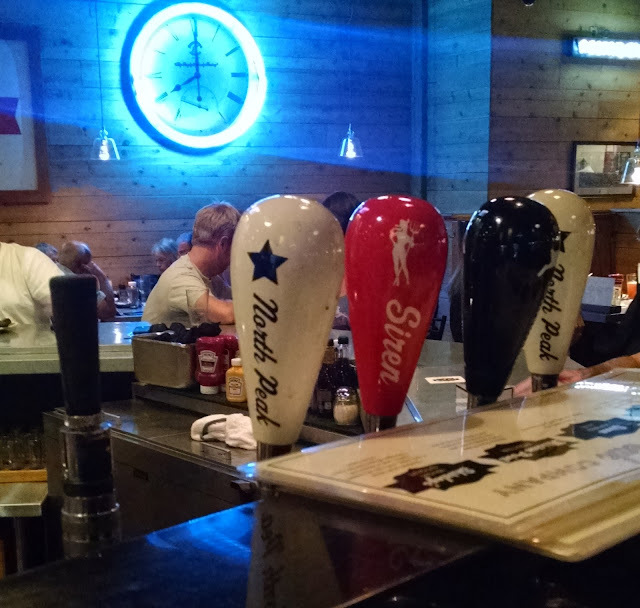 North Peak Brewing Company makes great beers and good food. Their beers are some of my favorite in Michigan, and I always try to remember to bring a growler or two to fill up. If you love cheese, try the cheddar ale soup. Moomers is a necessary stop if you like ice cream. 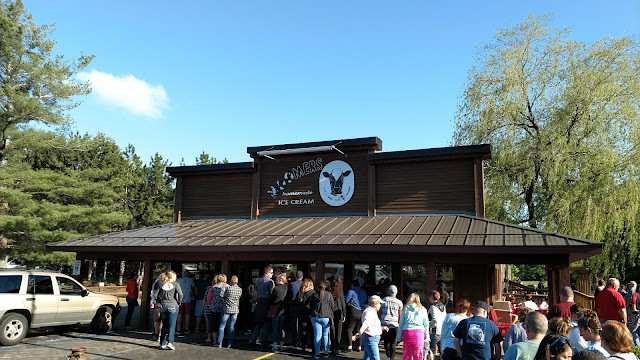 Unless you visit in the off season, the line will be long, probably because Moomers is always on ice cream "best of" lists and was named the best ice cream shop in America by Good Morning America in 2008. The ice cream is phenomenal and very much worth the wait. I love a good food truck, and Traverse City has a whole fleet of them. The Little Fleet is a collection of eight food trucks with varied cuisines. The Little Fleet also has a bar that serves beer, wine, and mixed drinks, and it hosts live music on Friday nights. 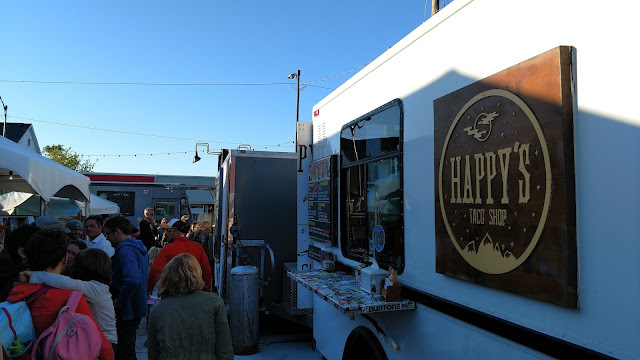 I've had the excellent sushi from White on Rice and awesome tacos from Happy's Taco Shop. The Little Fleet is a fun place to hang out and snack on different foods for a few hours on a warm day. 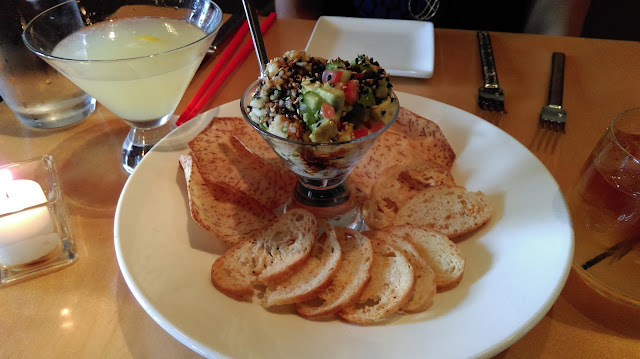 Red Ginger serves dishes influenced by the cuisine of a variety of Asian cultures. I have been only once and ordered only appetizers and sushi, since I was eating dinner later. I tried the spicy tuna roll from the sushi menu and two specials, a King Crab roll and ceviche. Everything was unbelievably good, including their cocktails, a Dark 'n Stormy for me and the Lotus Flower for Allison. Michigan is a great craft beer state, but excellent craft distillers are popping up throughout the state as well. One of my favorites is Grand Traverse Distillery. 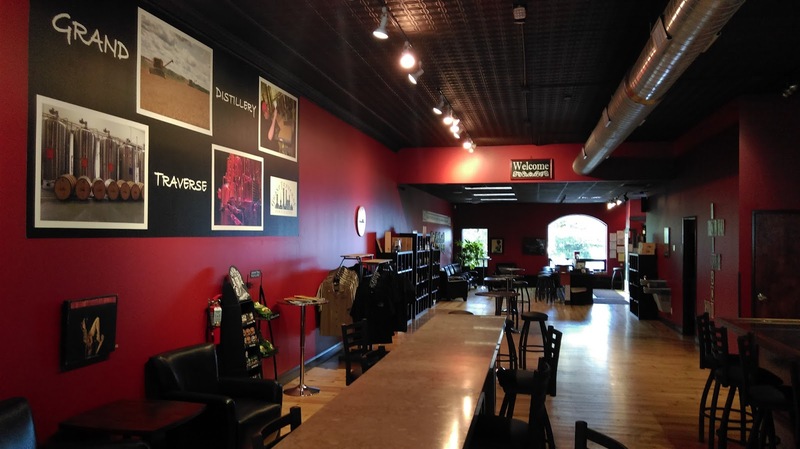 Their tasting room on Front Street is not the actual distillery, which is also in Traverse City but not downtown. Instead, this is one of the distillery's tasting rooms throughout the state. The tasting room sells bottles of their spirits, souvenir glasses, shirts, and hats, and it also allows visitors to taste their spirits for $1 per taste. When I'm in town, I try to stop in for a taste and to pick up a bottle of their bourbon for myself and a bottle of their cherry vodka for Allison. 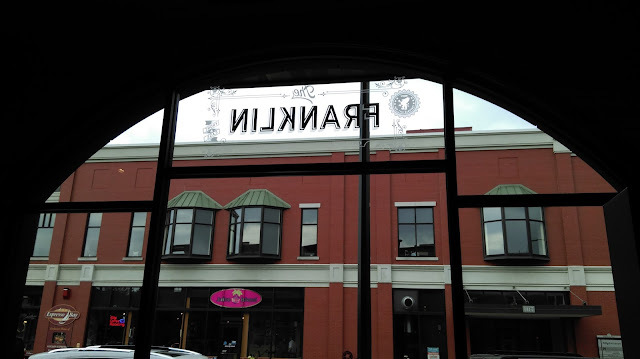 The Franklin is a great place to grab a good meal and wine while people-watching the shoppers and tourists on Front Street. 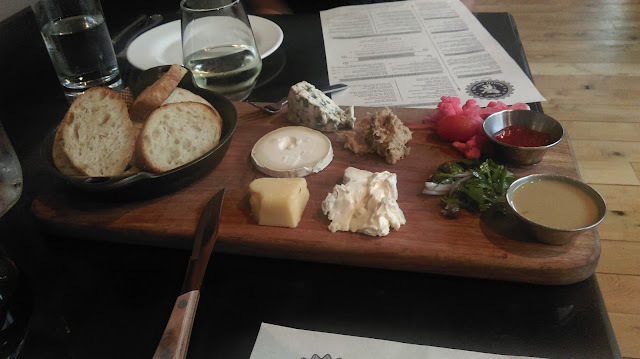 I loved their meat and cheese board, including the pickled cauliflower and vegetables that came with the board. The wine list was excellent, too, with several wines on tap from the local wine country. A friend of ours who lives in Traverse City recommended Low Bar as a cool place to get a drink. The bar is in the basement of a building on Union Street. 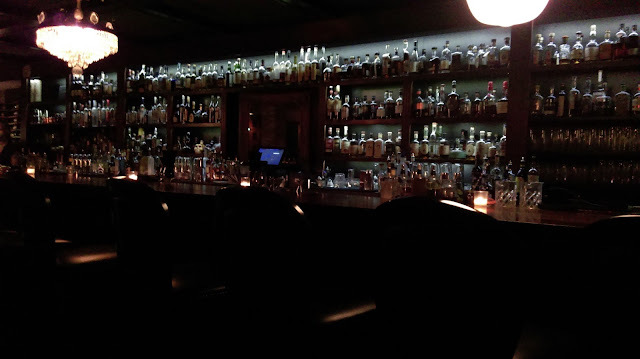 An elevator takes you down to a dimly lit hallway that leads to the dark yet inviting bar. A sign upstairs proclaimed that they have an award-winning old fashioned, so I ordered one and agreed that it was award worthy after my first sip. Allison tried the aviation, which she raved about. There is no ear-piercing music to stifle a conversation, so I highly recommend Low Bar to anyone who believes that conversation over good drinks is not a lost art form. 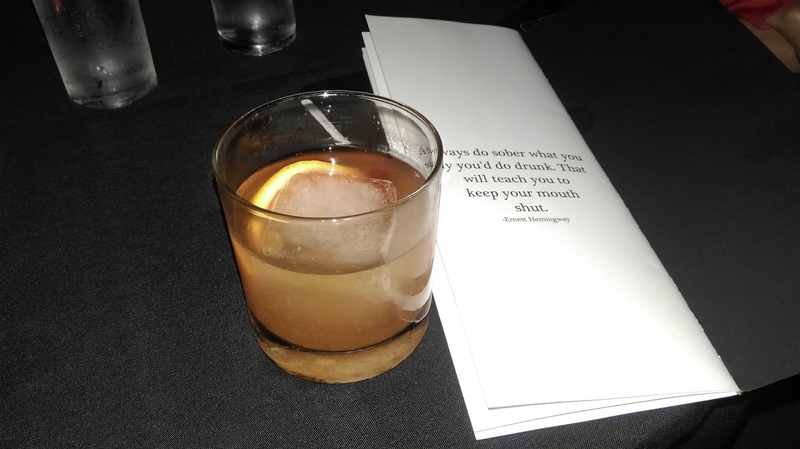 Before we left, I ordered the Hemingway to pay homage to a man who loved alcohol and Northern Michigan. If you run one of the Bayshore races, take advantage of these or the many other acclaimed restaurants in Traverse City. 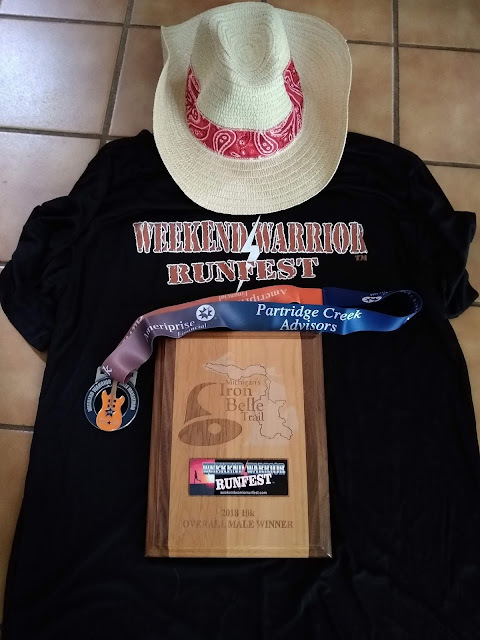 And don't forget to enjoy the area's natural wonders, including the Sleeping Bear Dunes (if your post-race legs can handle the steep climbs and descents).